Hi Foxy Friends! Today I'm joining The Blended Blog for our Wednesday fashion prompt, workout gear. The wonderful Shelly is hosting today's link up, So go link up your workout gear post on The Blended Blog or Shelly's blog. 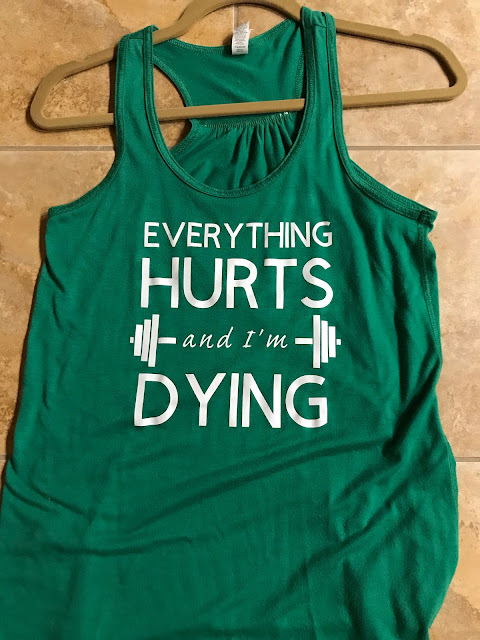 So I'm going to throw this out there, I'm probably the LAST person you want to take fashion advise from for workout gear. I have been wearing the same workout shorts for the last 14 years, no joke, these things were made to last! Case in point....Shorts from when I ran my 1/2 marathon 7 years ago. This picture, taken 2016, still wearing them, even the same shirt. I've tried so hard to find more pairs like it, but so far have been unsuccessful. I like them to be higher on the waist and for whatever reason, the people making running shorts thing everyone wearing them have runners bodies...FYI: I do not. I have in the past 18 month or so discovered I like wearing bikes shorts, not the most flattering thing, but a good when you can't find any bike shorts and you're just tired of wearing the same shorts the last 14 years. 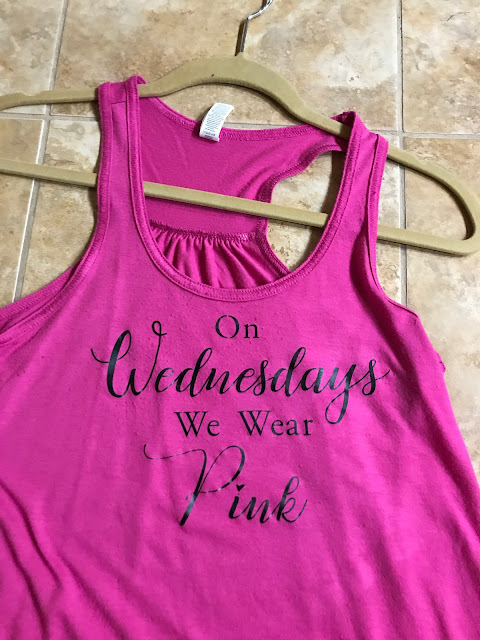 Yep I just had to make that shirt for "Mean Girls" Day. So as you can see my workout uniform is tank, sports bra and shorts of some sort. I figured out early on I can't wear any sort of pants, this might be TMI but I'm going to tell you anyway, I get heat rash super easy, so running with pants on, heat rash within 5 minutes. So during the colder months, it gets cold for me. I do however like wearing workout pants for around the house. My favorite ones comes from Fabletics. I have two pairs now and they are so comfy and hold up well. These are the first I bought and my dad HATES them. This is the only picture of have of them. 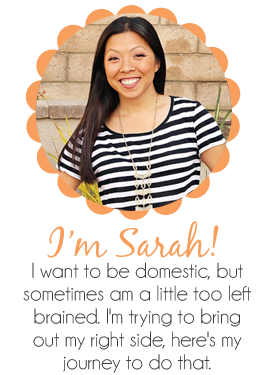 I used to wear them to physical therapy a lot when I had my ankle surgery, full story on why here. Here I am at physical therapy getting stim on my ankle. I am LOVING these moto leggings, and they're on sale too! I actually have been wearing them like pants. I wore them on Sunday to do errands. I haven't found a sports bra that I am totally in love with, I'm thinking I need to get some better ones...anyone have any suggestions? Perhaps I should go into business and make these. Anyone want one? How's $25 plus shipping? haha, just kidding, sort of. 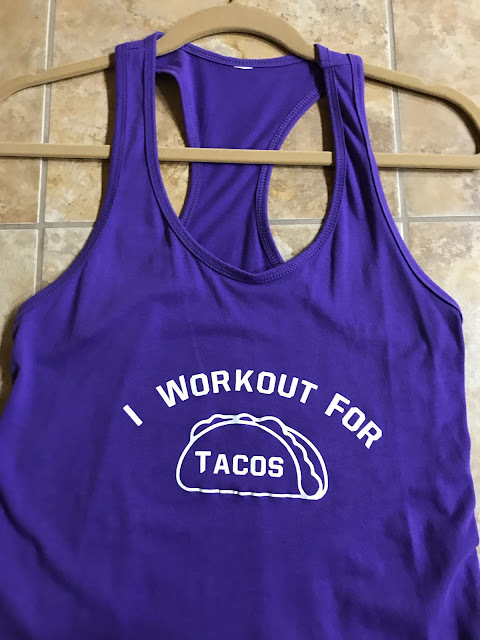 I'm thinking I need to add a few more to my workout wardrobe...how about "Today's workout is sponsored by Pizza"
Oh and I forgot to talk about my favorite shoes! Currently I really like these ones. I've gone through several brands and have found Asics to be the best for me. I highly suggest you go to a running store who has a treadmill and can assess how you run and workout and then help you pick the best fit for you. Also, if you go to a turbo kick type class these are my favorite weighted gloves. They are one pound each and perfect for getting a little extra weight in on the arms while boxing around. 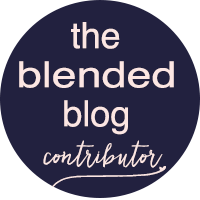 Now go link up your posts with The Blended Blog or Shelly!